Apart from using holes in trees for nesting, the White-rumped Falcon also uses them for roosting (sleeping and resting). Researchers observed both the male and female White-rumped Falcons clinging to the trunk of their nest tree - similar to the way in which woodpeckers do! They also observed the falcons running up the tree trunk with closed wings. This species is also known as the White-rumped Pygmy-falcon or White-rumped Falconet. 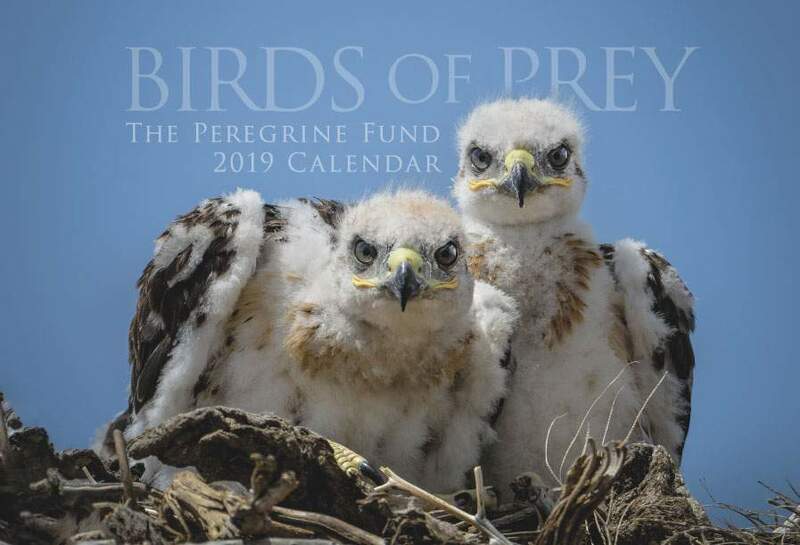 Though The Peregrine Fund doesn't work directly with White-rumped Falcons, our efforts in scientific research, habitat conservation, education, and community development help conserve raptors on a global scale. We also supply literature to researchers from our avian research library, which helps scientists around the world gather and share important information on raptor conservation. The White-rumped Falcon is found in a number of different countries throughout Asia: Myanmar, Laos, Cambodia, Vietnam and Thailand. This beautiful raptor prefers savanna and primary diptocarp (which is a tall forest tree) forest and mixed deciduous forest habitats. It usually isn't seen over 915 m above sea level. As you may have guessed, the White-rumped Falcon has a white rump. It also has a pure white breast and upper back. Its wings are a slate grey color. Its legs, cere and the skin around its eyes range from yellow to orange. It has a dark eye. Like the American Kestrel, male and female White-rumped Falcons differ somewhat in plumage colors, so they can be quite easy to tell apart. The male has grey on its head and upper back, while the female's head and upper back are a lovely deep rufous color. Like many falcon species, the White-rumped Falcon has many different vocalizations. When the male brings food to the nest, he often emits a high-pitched call to signal his arrival to the female. She responds with a soft "cheep." 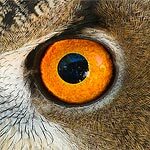 This falcon has a wide array of other calls from loud screeches to what researchers described as a "short, musical song." White-rumped Falconets are diurnal, meaning they are active during day light hours and rest at night. Sadly, no one really knows much about what the current status of the White-rumped Falcon populations. 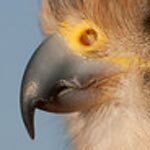 What we do know is that in 1988, the White-rumped Falcon was considered to be a of Least Concern. In 2016, it was uplisted to Near Threatened. Today, biologists believe this species is likely declining, mainly due to hunting and loss of habitat. The White-rumped Falcon feeds mainly on reptiles - specifically lizards, which it snatches off of tree trunks, from the ground and out of foliage. It also feeds on insects, such as cicadas and grasshoppers, and small birds, frogs, and snakes. Curiously, unlike many other falcons, the White-rumped Falcon doesn't do much aerial hunting. Amazingly enough, there has only been one study conducted on the breeding biology of the White-rumped Falcon! During this study, researchers observed a nest in western Thailand for only 5 days. From what they learned, we know that the White-rumped Falcon can nest in old woodpecker holes and that they lay at least two eggs. In this particular case, the eggs were white without any markings to speak of. Researchers saw that the female incubated the eggs during the day, while the male was in charge of bringing food. Both the male and female roosted in the nest hole at night. Like many other raptor species, the White-rumped Falcon is very protective of its nest and young - issuing alarm calls and chasing off any intruders. The World Center for Birds of Prey offers fun ways to learn about raptors. Interactive activities, tours, interesting videos and a children's room with activities from coloring sheets and quizzes to costumes and a touch table are available for the curious mind. We also have several different birds of prey on display year-round, including several falcon species! Come for a visit, and get up close to a Peregrine Falcon, Aplomado Falcon, American Kestrel and even a Gyrfalcon. Our knowledgeable staff and volunteers are on hand to answer any questions you may have about White-rumped Falcons or other raptors.